Will Iceland's Volcano Ice North Atlantic Transit Again? Iceland’s Meteorological Office has told CNN that “something's definitely up beneath the Earth's surface.” A very conservative assertion when one considers that some 2,600 earthquakes took place between Saturday morning and Sunday evening, including the strongest earthquake since 1996 on Monday morning. 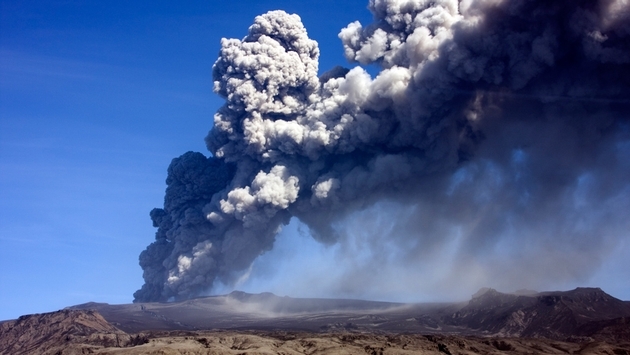 According to scientists, these earthquakes are taking place at five to 10 kilometers beneath the surface of an area called Bardarbunga and that’s precisely the depth that leads to volcanic eruptions. According to CNN, the last Bardarbunga eruption took place in 1910.
and concluded that airlines “avoid operation in visible volcanic ash.” That was the policy adapted in 2010 that was derided by many airline executives as too conservative. Iceland enchants travelers with its unparalleled natural fury in which geysers and glaciers seem to contend for the attention of such old lost gods as Thor and Loki. Those same poetic forces become something quite different when they rage so furiously that volcanoes erupt. Bardarbunga had to evacuate both citizens and visitors as a precaution this week; let’s hope we won’t have to evacuate the sky over Iceland in the coming weeks. If we do, prepare for a battle between those who insist it’s safe to fly and those that don’t.